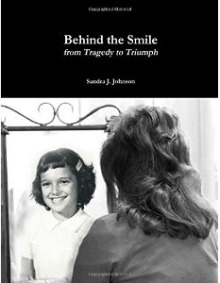 The Court Appointed Special Advocate is a trained volunteer whose role is to speak for the best interests of abused and neglected children in the juvenile court system, serving as the child’s appointed Guardian ad Litem. No legal or social service background is necessary. Possess emotional maturity, stability, and common sense. Have the ability to deal with hostility and rejection. Be able to keep information confidential. Be able to work within established guidelines. Have the ability to interview, observe, listen, and analyze written material. Be able to write clearly and concisely. Have the ability to make decisions and set goals. Be willing to commit to the program for a minimum of eighteen months. Upon successful completion of pre-service training and background checks, the CASA volunteer is accepted into the program by the Advocate Coordinator and the Executive Director. 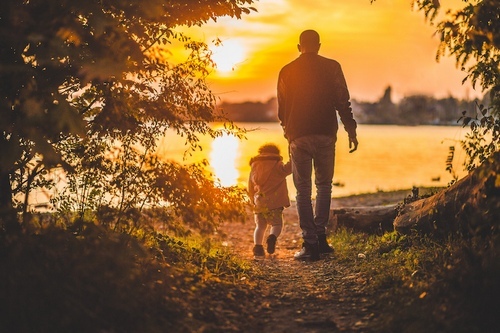 Although the CASA volunteer may work with a mentor, the CASA/GAL ultimately is responsible to and reports directly to the Advocate Coordinator. Cooperate with reference and criminal background checks. Successfully complete CASA of East Central Illinois program’s 30 hour pre-service training. Swear an oath of confidentiality administered by a judge of Coles County or Cumberland County respectively. Accept the assignment of a case as agreed between the volunteer and the Executive Director. After reading the case file, meet with a mentor and/or the Executive Director to plan case strategy. Research the case; interview the parties. Work with the mentor, the Adovcate Coordinator or Executive Director, and the CASA attorney regarding strategy. Maintain complete written records of the case including appointments, interviews and any information gathered on the case. Continue to consult with the mentor and Advocate Coordinator and/or the Executive Director throughout assignment. Attend all court hearings for the case and assure that the best interests of the child are being represented at every stage of the process. Attend DCFS biannual administrative case reviews for assigned case if possible. While assigned to the case, continue contact with the child(ren) at least monthly and preferably in person. Continue to monitor the case for the period of assignment, to assure compliance with court orders and notify the Court if such orders are being violated. Work cooperatively with others within the child welfare system to strive for the permanency plan that best suits the child(ren). Attend a minimum of six (6) educational in-service sessions or 12 hours of continual education annually. Complete monthly data sheets for the program. 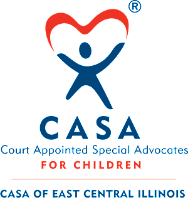 Accept, adhere to, and support the philosophy and policies of CASA of East Central Illinois. If you are interested in volunteering as a CASA advocate in Coles County or Cumberland County? Visit our Get Started page or call Kristen at 217-348-0599!